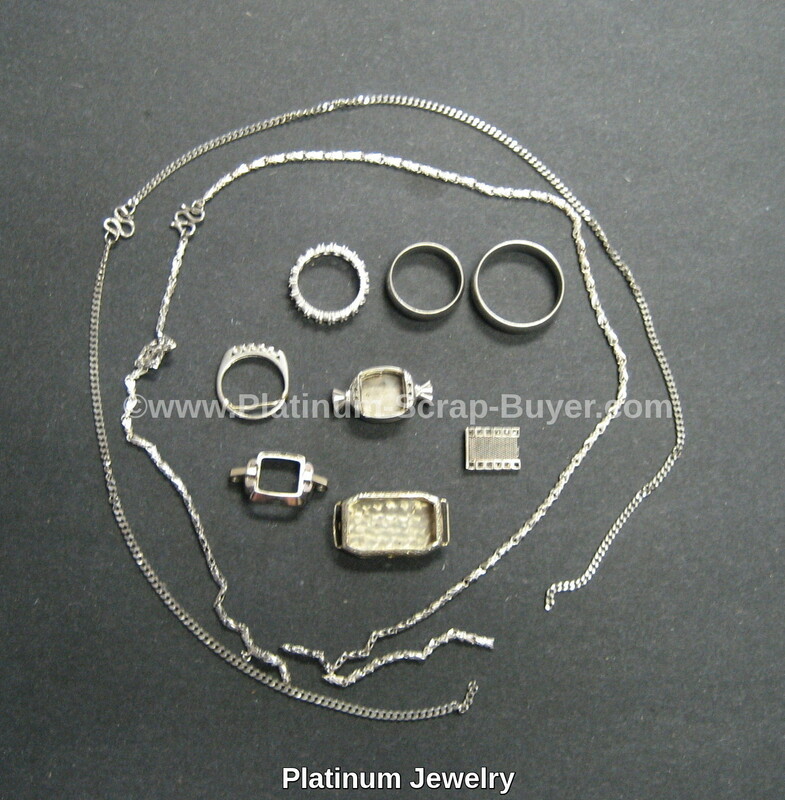 We buy all Platinum Jewelry scrap. Call Us Today so we can tell you how to sell Platinum to us. Getting cash for Platinum Jewelry is easy when dealing directly with the refiner. Do you have broken, old, or mismatched jewelry? That’s ok because We buy Platinum in any condition! 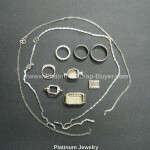 We buy Platinum jewelry in any form and in any alloy. Platinum Jewelry can come in a variety of alloys in the ranges of 95/5 (95%), 90/10 (90%), 85/5 (85%), 80/20 (80%). The alloy is typically marked on the inside of the band or clasp. Some Platinum jewelry like rings or necklaces have stones set into them. The stones do not have to be removed for us to refine the platinum. If you would like the stones returned, We offer stone removal if they are removable. Platinum jewelry has seen a rise in popularity in the past few years, with the majority of the demand coming from China. China accounts for nearly 70% of the demand globally. Platinum demand for jewelry is also a close second to automobile demand of Platinum. We use the latest in refining methods and equipment to efficiently refine your Platinum Jewelry. Sell your Platinum Jewelry to us today! We pay the most for your Platinum Scrap.